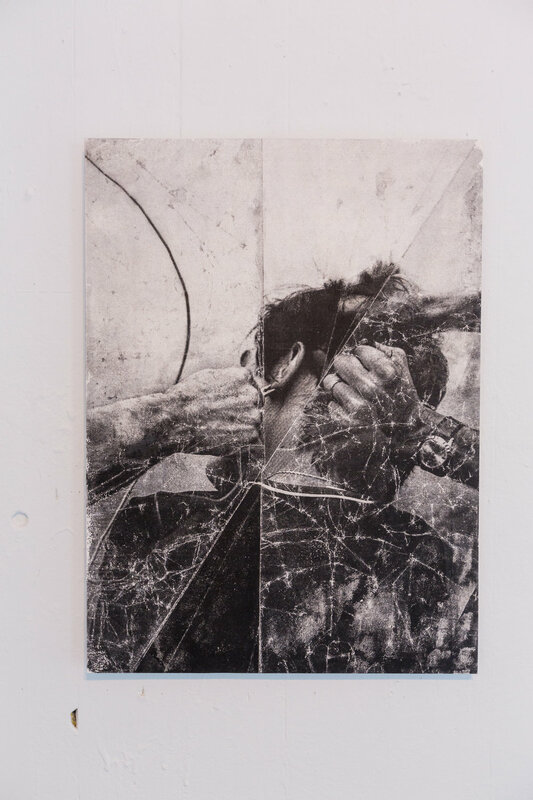 Armina Mussa, Fragility - Death installation view. Project Row Houses, Round 48: Beyond Social Practice, 2018. Photo by Alex Barber. Round 48: Beyond Social Practice takes its title from the Social Practice.Social Justice symposium organized on the occasion of PRH’s 25th anniversary celebrations. Through this ongoing investigation of exploring how social practice is defined, who defines it and what it means for artists, collectives and institutions, Round 48 brings together a group of artists deeply engaged in collaborative practices that speak to social issues related to identity, politics, activism. “Social practice" emerged from academia to encapsulate the scope of community-based and socially engaged practices that artists have utilized for decades. The term, as ascribed to these practices, is synonymous with the proliferation of academic programs that could be seen as troubling in their attempts to capture, pare down and replicate what has come before. 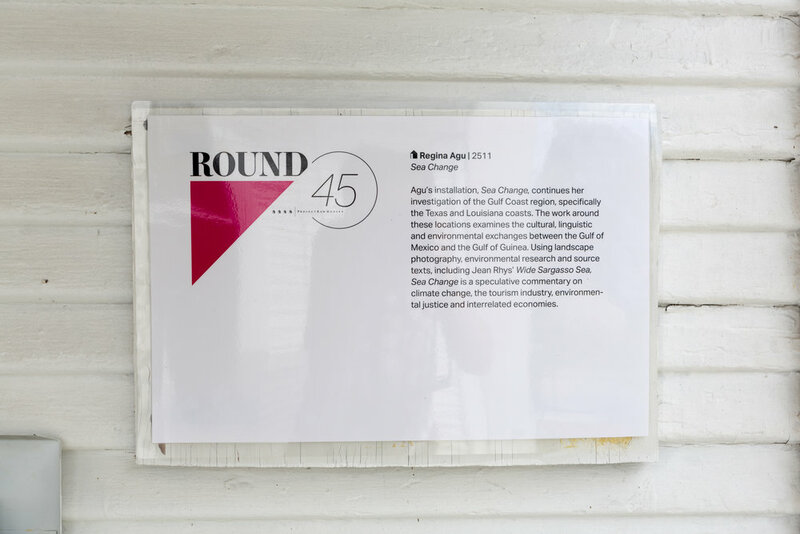 As with the symposium, Round 48 looks to the multitude of forms that “social practice” takes in contemporary art, exploring organic efforts that move beyond the name and elevate the spirit of socially engaged art through their actions. Tatyana Fazlalizadeh (Brooklyn, NY): Fazlalizadeh’s installation “The Personal as Political” creates a space for people to talk candidly about their experiences being black, women, and/or queer. Their personal stories will then be used to create political art that disrupts the common narrative and forces a new perspective on identity and activism. 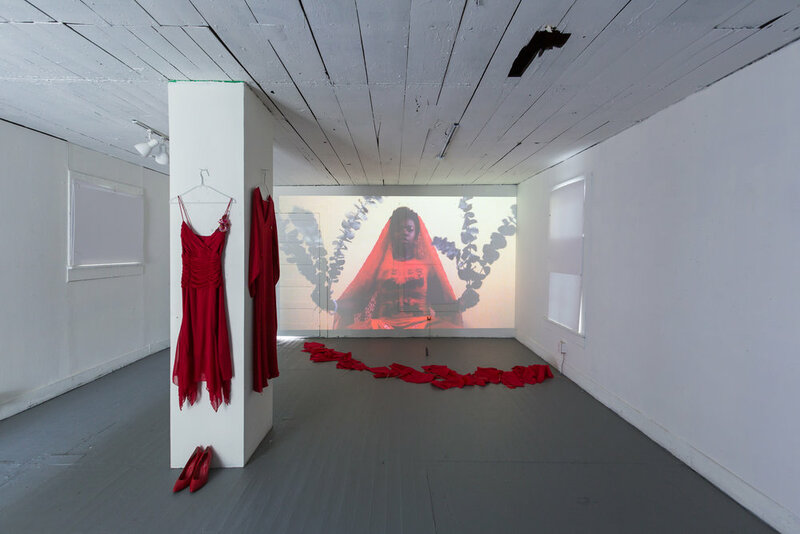 Armina Mussa (Los Angeles, CA): Mussa’s installation “Out of One’s Skin” uses various mediums such as sculpture, video, duration performance, and performance documentation to allude to the practices of repressive and violent environments. Tia-Simone Gardner (Houston, TX): Gardner’s “The Black Power Station” is a digital audiobook archive and mobile sound installation that highlights authors of African descent whose works were published before 1923, but have fallen out of print. 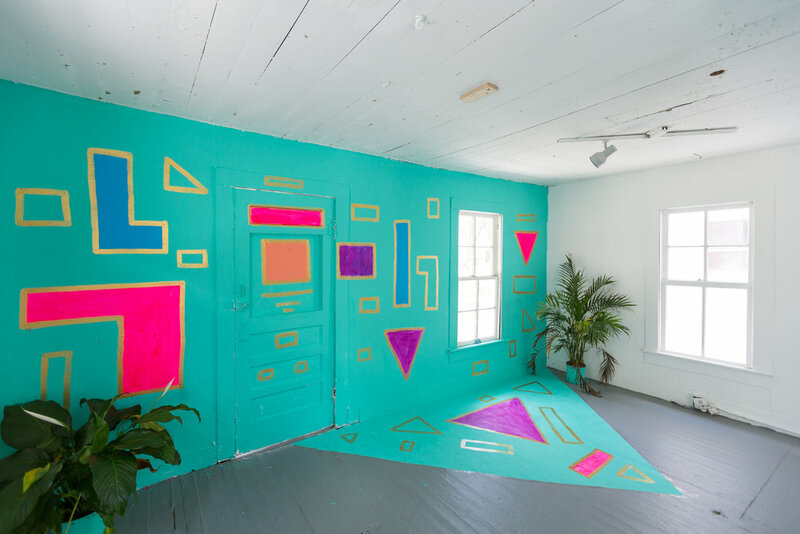 Lisa Harris (Houston, TX): Harris’ “House of Practice” is a holistic recreation center that creates a sacred space and a healing environment through the use of cool colors, calming and orderly interiors, mirrors, furniture, literature and a practitioner. 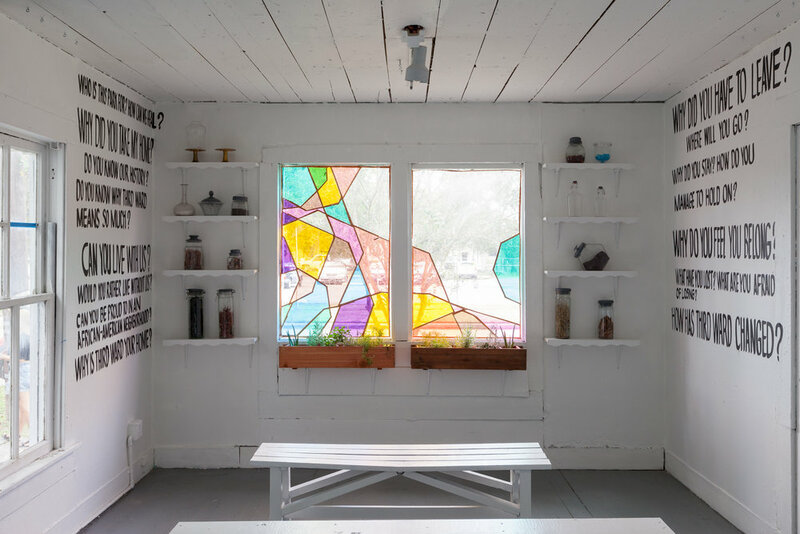 The installation offers organic practices, materials, and information as alternatives to overindulgence in pharmaceutical consumption and digital recreation. Dawn Weleski (Pittsburgh, PA): Weleski’s “Noon at Night” is a pay-what-you-can bakery serving international baked goods, while connecting customers in real-time to other cafés and patrons around the world. “Noon at Night” opens when the sun sets and doesn’t close until sunset the next day, allowing customers in Houston to converse via video conferencing with customers in cafés half a world away where their hour is noon. jackie sumell (New Orleans, LA): Sumell’s “gRow House” will fill the space with flowers chosen by incarcerated mothers from prisons across the U.S. 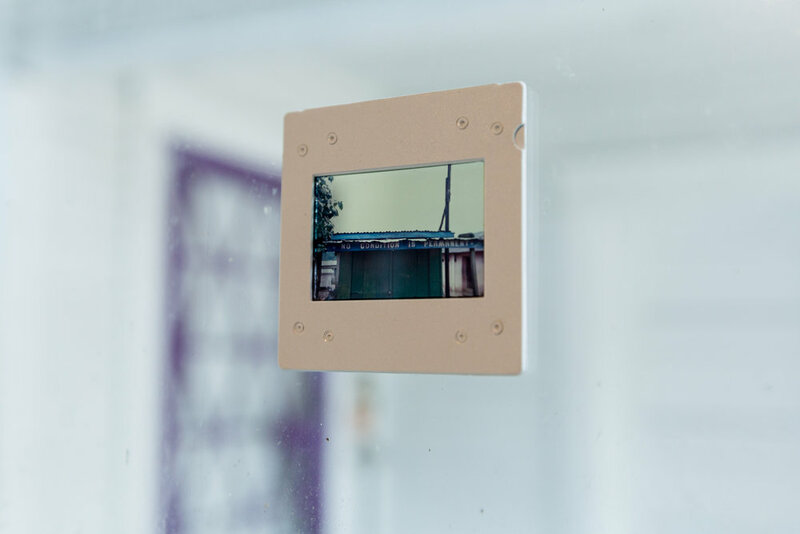 The installation, which recognizes that 80% of incarcerated women and girls are mothers, invites visitors to plant the seedlings chosen by the women, document their transformation, and share the images with the moms through a prisoner-support app called Flikshop. The Design Studio for Social Intervention (Boston, MA): The Design Studio for Social Intervention will create a “Social Emergency Response Center” with the intention of taking social emergencies that we presently face to help individuals pivot out of despair, rage, and hopelessness into collective, creative, and radical action. 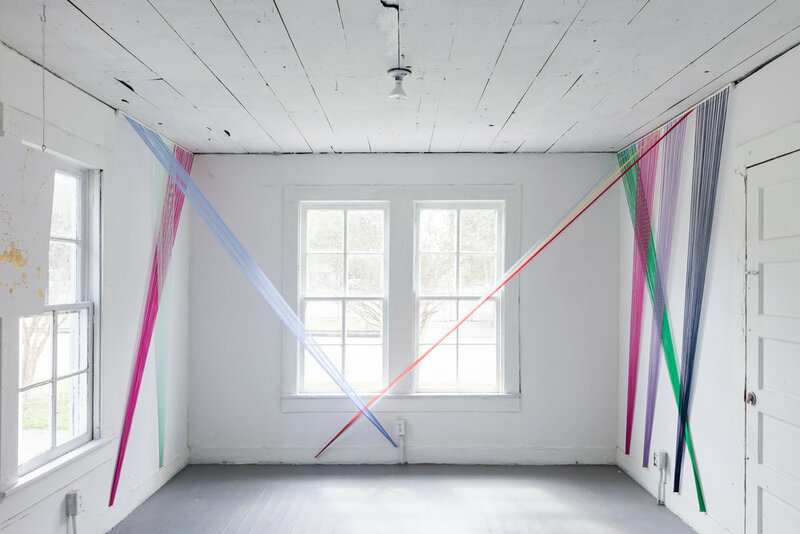 The House will be programmed as a space for activists, artists, and Third Ward residents to gather and activate in ways that feel useful and inspiring. 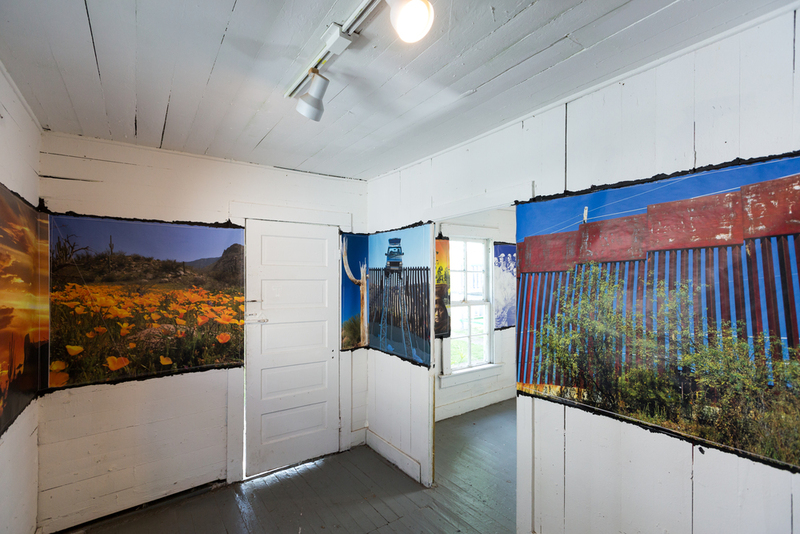 From healing spaces as a site for a holistic recreation center, to connecting with communities in other countries, the featured work highlights the critical role that artists play in shaping and framing socio-political issues while demonstrating their ties to various social justice movements and strategies. 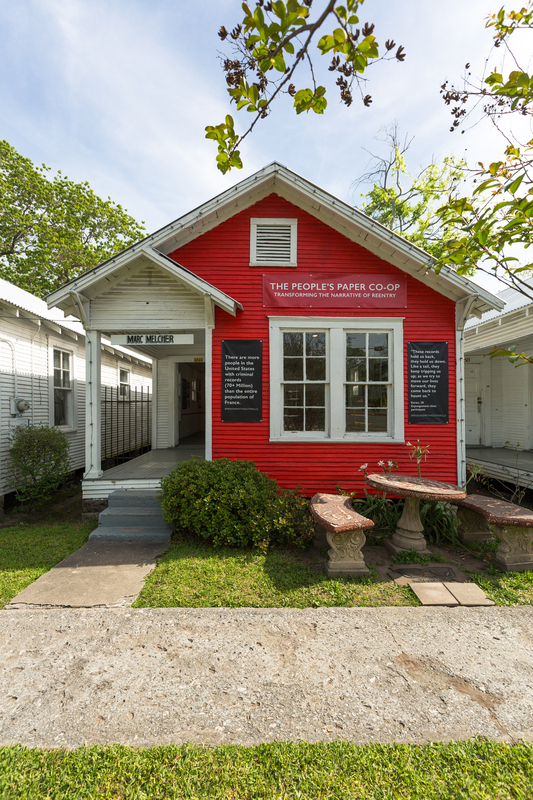 Round 48 is organized by Ryan N. Dennis, Curator at Programs Director at Project Row Houses. What happens when individual artists use their platform for collective organizing to address challenging socio-political economic issues we face as a society? 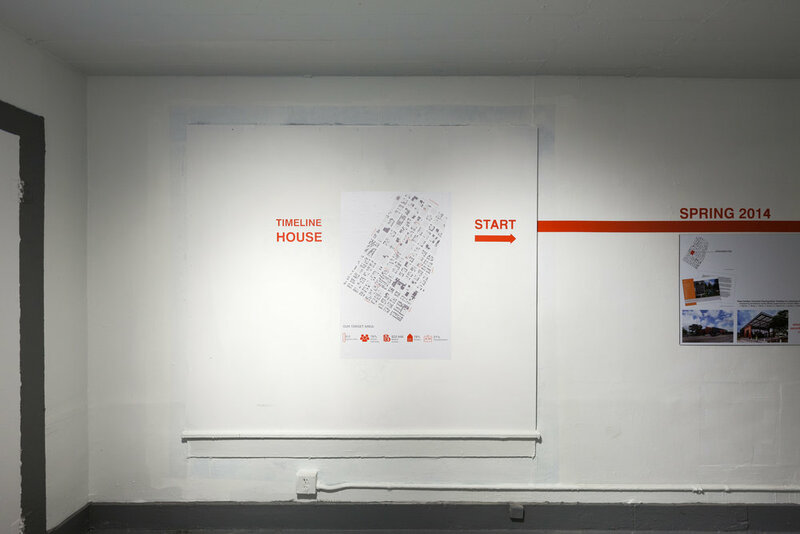 This Round will utilize the seven art houses as a platform to cultivate public dialogues about the issues that impact the lives and movement of Black People while creating space for the general public to get involved in generative ways. Throughout the houses, a collection of objects, ephemera, performance, digital and installation-based work by the many women of Black Women Artists for Black Lives Matter will be installed. 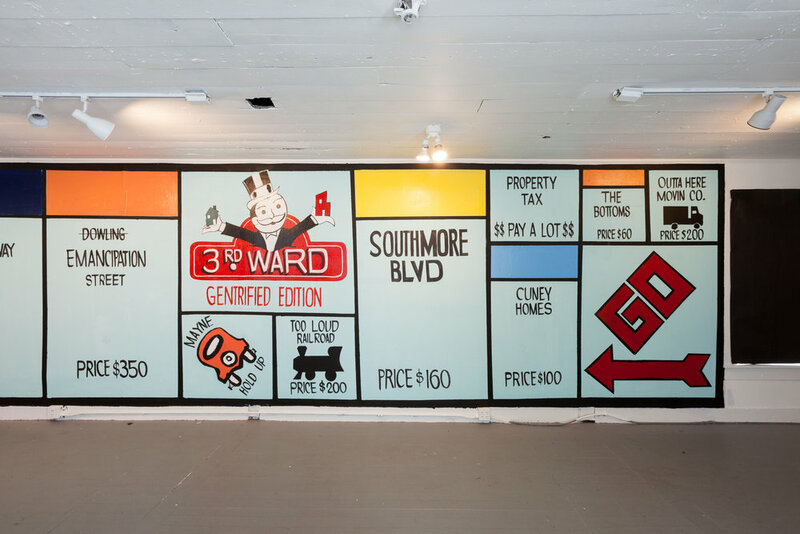 Some houses will be home to immersive installations of videos while other houses will create opportunities for the public to create ephemera and host meetings to respond and organize based on our current political moment while addressing issues that impact the lives of Third Ward residents. During the incubation period, we will work with local artists to establish a chapter of BWA for BLM in Houston and to create an installation or performance based on conversations. The Houston chapter will become a part of the larger network of BWA for BLM groups that are active in New York, Los Angeles, Chicago and London. THICKER/BLACK LINES, UK Group of Black Women Artists for Black Lives Matter, 2017, curated by Ryan N. Dennis. Photo by Alex Barber. What a Living World Demands, Ephemera Group of Black Women Artists for Black Lives Matter, 2017, curated by Ryan N. Dennis. Photo by Alex Barber. Well Read Women, Digital Group of Black Women Artists for Black Lives Matter, 2017, curated by Ryan N. Dennis. Photo by Alex Barber. A Litany II: (dis)place, Performance Group of Black Women Artists for Black Lives Matter, 2017, curated by Ryan N. Dennis. Photo by Alex Barber. Untitled, Ephemera Group of Black Women Artists for Black Lives Matter, 2017, curated by Ryan N. Dennis. Photo by Alex Barber. The House of Witnessing, LA Group of Black Women Artists for Black Lives Matter, 2017, curated by Ryan N. Dennis. Photo by Alex Barber. Nine Night, Objects Group of Black Women Artists for Black Lives Matter, 2017, curated by Ryan N. Dennis. Photo by Alex Barber. 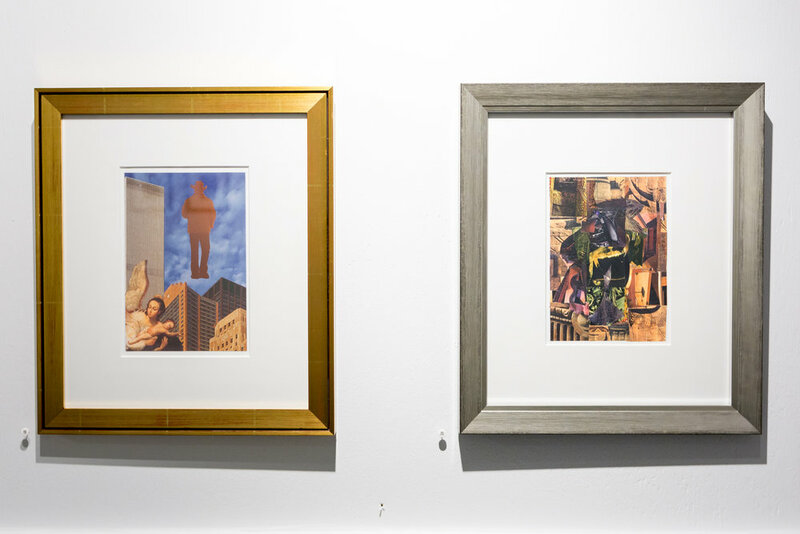 In conjunction with this Round, Ann Harithas has organized an exhibition of collaborative collages made by her and PRH founding artist Jesse Lott. Not only will Jesse Lott have work on view in the 2505 Holman Street Art House, he will also be celebrated and honored this Fall at Art League Houston in the “Artist in Action: Jesse Lott” exhibition opening on September 30; 14 Pews is currently producing a film that will air in November; Mystic Lyon, a new space in the Fifth Ward where Lott grew up, will have a window installation of his work open in mid-September; and in conjunction with Sculpture Month Houston in October/November, Lott will be included in the exhibits From Space to Field at The Silos at Sawyer Yard and Friendly Fire at the Station Museum.